Another week is here, and yes, we have another challenge for you! This week we challenge you to redesign or rebuild an awesome Gmail App Redesign that will enhance the user experience and make working with the e-mail client as simple and easy as possible! 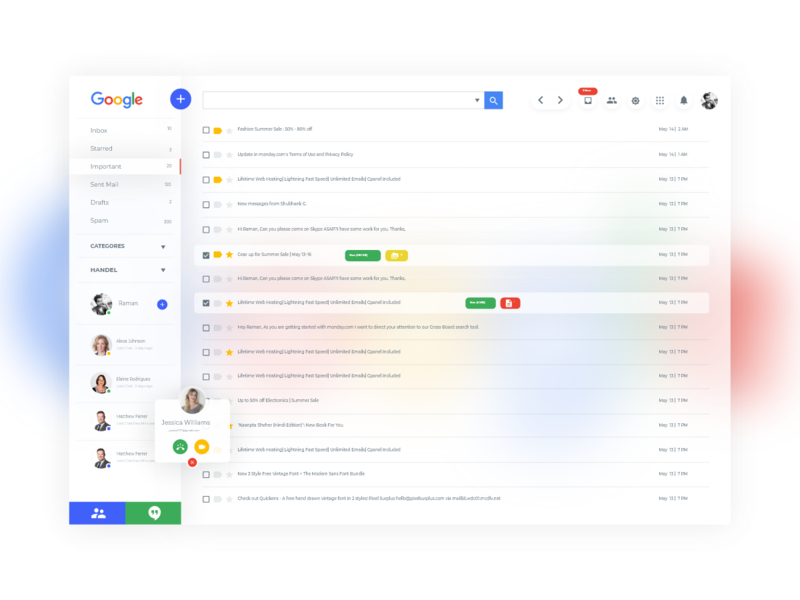 We're curious to see how you would redesign or rebuild a super user-friendly Gmail Client that will enhance the user experience and make working with the e-mail client as simple and easy as possible!